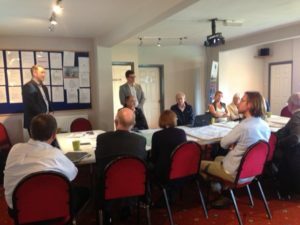 On 7th September members of the ECNF management committee met Troy Planning & Design consultants to discuss the implications of the proposed local plan on Edenfield as well as to develop our own alternative proposals to the RBC plan. 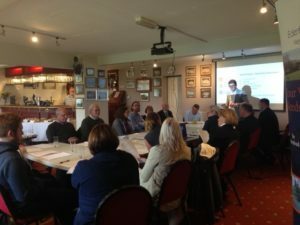 The meeting was very informative and gave local residents an opportunity to learn about the planning process from the consultants as well as to identify our preferences for sustainable development in Edenfield. 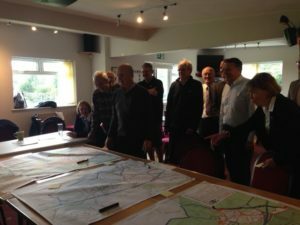 After the meeting, everybody braved the rain to walk around Edenfield to point out areas of interest to the consultants. We’re grateful to the cricket club for allowing us to use their facilities. Notice of meeting sent by email to all members together with the agenda for the community forum meeting on 14th August 2018. The minutes from the previous meeting (referred to in the notice) below, can be found here.